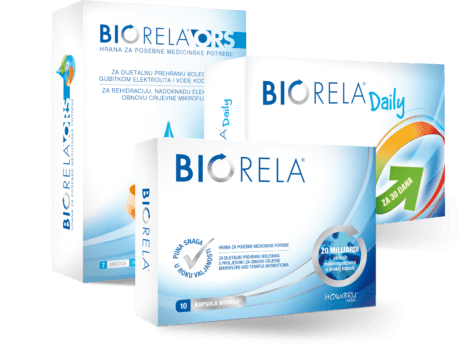 Biorela® products contain effective, clinically proven strains of good* bacteria of unparalleled characteristics and quality. Biorela® also provides the proper doses, and the full strength of the products in every moment has been confirmed by stability tests. By using only the world’s best bacteria strains we guarantee effective and safe products. More than 300 scientific studies and published articles confirm that the strains we use are of the highest quality and efficacy. This is why strains in Biorela® products have become synonyms for probiotics. Our aim is to always be the first to offer you unique products. In addition to Biorela® capsules, sachets and dual formulas with rehydration salts, we also take pride in our innovative chocolate bars. They are equally appealing to both children and adults, extremely tasty and completely unique. 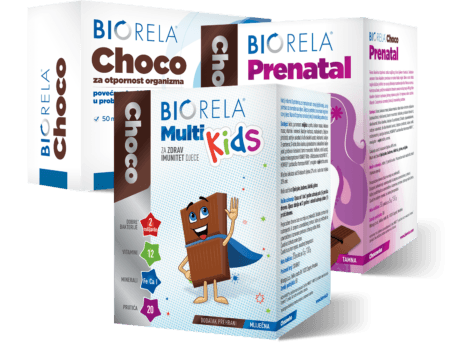 Thanks to its chocolate form, Biorela® Choco ensures the stability of probiotics. We need good* bacteria to ensure proper digestive functioning throughout our life, and so we often need to efficiently increase the amounts in our bodies. For this reason, Biorela® products have been developed specifically for different groups: children, adults, pregnant women and the elderly. Some of the products are formulated for daily use, while others are intended for specific conditions, when we need help quickly and efficiently; for example, when taking antibiotics or during a bout of diarrhoea. Look for the right Biorela® for you in our wide family of probiotics. You will surely find it.